Every year, approximately 8 million metric tons of plastics escape to our oceans. This overwhelming figure doesn’t mean much to most people, as it is hardly understandable. But the consequences of it on our environment are very clear: “from poisoning and injuring marine life to disrupting human hormones, from littering our beaches and landscapes to clogging our streams and landfills”, as Earth Day’s official website states. As our production and consumption of plastic is far greater than our waste management capacity, the issue is threatening our planet. But the question is no more to know if plastic pollution is a problem, but rather how do we clean up our mess, and prevent more plastic from even getting to our oceans. Recently, a team of scientists has announced the accidental creation of a mutant enzyme that could “eat” one of the most popular types of plastic: polyethylene terephthalate, or PET. Even though this could be a breakthrough discovery, it is far from being implemented as a way to improve recycling despite the fact that waste management capacity is lacking today in developing economies. “What if plastic was the solution?”. That’s the simple, yet powerful challenge of PLAST’IF. This French company has developed a brilliant machine that executes a full immediate recycling process. PLAST’IF analyzes, sorts, grinds and transforms the plastic into wire. You can then choose how to use this wire by simply selecting an object on a touchscreen: office supplies, furniture, etc. A 3D printer immediately prints it. “Our goal is to show people that their plastic is valuable. They have an immediate reward for their actions. 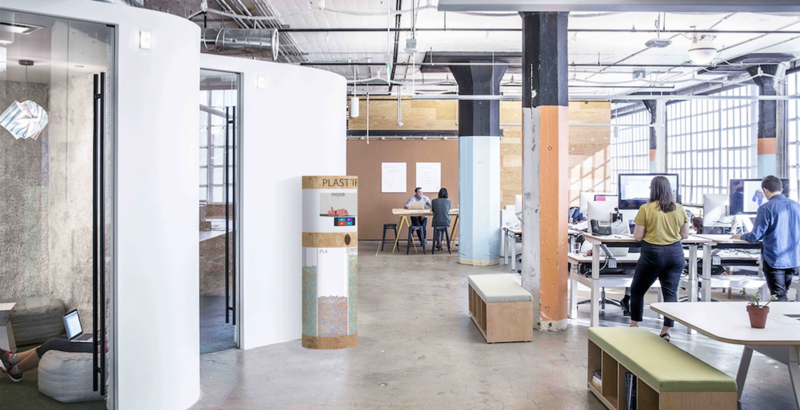 What we have observed in most places where there’s a machine is that In the long-term, people change their behaviour” says Cassandre Delage, CEO of PLAST’IF. Plastic bags represent a huge part of overall plastic litter. But what if plastic bags were harmless to the environment? Enviplast is a solution developed by the Indonesian company Inter Aneka Lestari Kimia, PT. Their bags are made of a bio-based polymer which makes them totally biodegradable in 3 to 6 months, compared to 100 to 400 years for plastic bags. Plastic bags shouldn’t end up in the ocean in the first place, but if they do, due to lack of waste management, then they should definitely be biodegradable. 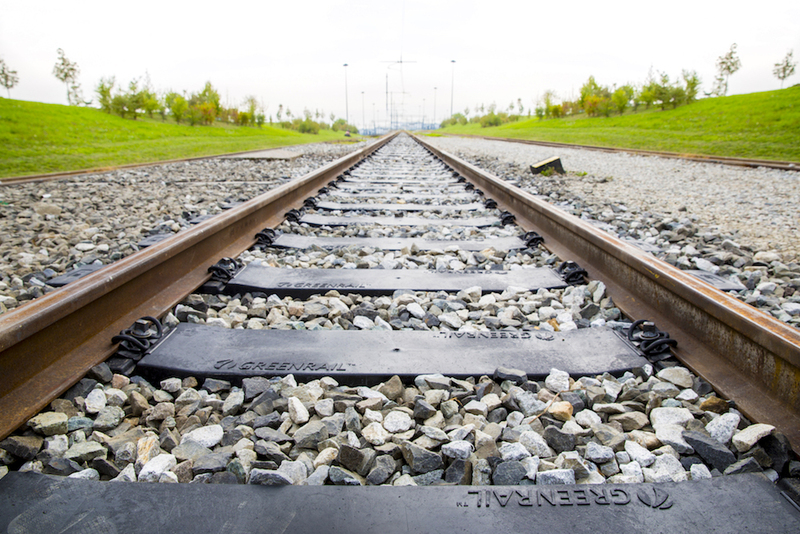 “For Greenrail, the industrial growth today can only go through a sustainable development”. We couldn’t agree more with Greenrail’s statement! This Italian company is building railway sleepers made partly of recycled plastic. “Every kilometer of railway line is composed of 35 tons of reused material, half of which is plastics” says Dawid Janik, Communication & Sustainable Development Manager of Greenrail. Plastic Odyssey is up for a massive challenge. This unique vessel will do a round-the-world tour powered by plastic waste, by a process named “pyrolysis of plastic”. Each kg of plastic will produce approximately one liter of fuel. The ship will start its round the world tour in 2020. This expedition isn't so much about the technology, but mainly about sending a message: “plastic is too valuable to enter our oceans”. During 3 years, the ship will stop in 33 major ports in Africa, Latin America and Asia, which are the most affected continents by plastics pollution. "At each port of call, Plastic Odyssey will first clean the coastlines affected, and then transform waste into valuable materials" says Simon Bernard, cofounder of Plastic Odyssey. The non-recycled plastics will be turned into fuel to power the ship. These examples show that concrete solutions exist to recycle plastics, whether in our industries, as fuel, or in our everyday lives. But recycling cannot be the only answer. To efficiently fight against plastic pollution, we need to seriously reconsider our consumption of it. In that regard, governments have a tremendous role to play. And some have started acting… British Prime Minister Theresa May outlined a plan to eliminate plastic waste by 2042. Indonesia committed to reduce plastic debris by 70% by the end of 2025. Sri Lanka banned single-use plastic items. At the Solar Impulse Foundation, we’re still looking for some innovative solutions to join our World Alliance for Efficient Solutions. Selected solutions will be awarded the label of a Solar Impulse Efficient Solution and will be promoted to the media, business and government. If you have a solution that can help end plastic pollution, please join the World Alliance and become part of the #1000Solutions here. If you have a good understanding of this issue, join us as an expert to help us assess the solutions and label them.